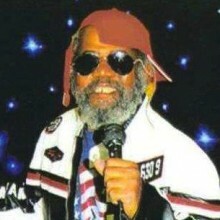 Robert "P-Nut" Johnson, vocalist for Bootsy's Rubber Band, Parliament, Funkadelic and other various George Clinton bands, died on Sunday, March 12 after a lengthy illness. After playing in a number of bands in the Baltimore area, Johnson sang on two albums by Bootsy Collins, Stretchin' Out in Bootsy's Rubber Band (1976) and Ahh...the Name is Bootsy, Baby! (1977) along with Fred Wesley & the Horny Horns' A Blow For Me, A Toot For You (1977) before transitioning over to both of George Clinton's bands, Parliament and Funkadelic. Some sources also have him contributing vocals to the Funkadelic album The Electric Spanking of War Babies (1981) and other Collins and Wesley sets. We lost another one to that other frequency. Mr.ROBERT “PNUT” JOHNSON. Born in Baltimore in 1947, P-Nut started on the road with Bootsy’s Rubber Band and in the studio with P-Funk in 1976. When Bootsy stopped touring in 1979, P-Nut segued to P-Funk. Prior to joining Bootsy’s Rubber Band and P-Funk, P-Nut played with local bands in the Baltimore area. Share yr condolences for his family & friends. Another P-Funk legend R.I.P.